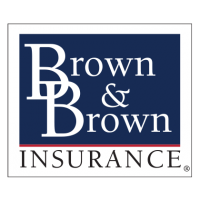 Brown and Brown of Illinois, Inc.
Brown & Brown is an independent insurance intermediary that through its licensed subsidiaries provides a variety of insurance products and services to corporate, public entity, institutional, trade, professional, association and individual clients. Headquartered in Daytona Beach, Florida, offices are located across the United States, with products and services offered through four major business divisions. We are listed on the NYSE as BRO. Our corporate culture is built on vision, speed, agility and strength that allows us to thrive in the very competitive insurance environment. This unique culture has enabled us to quickly chase down new opportunities, adapt our products and services to best meet market demands, and satisfy our many and varied clients. Our drive to be the best has made Brown & Brown one of the largest and most respected independent insurance intermediaries in the nation, with 75 years of continuous service. The Company is ranked as the sixth largest such organization in the United States and seventh in the World by Business Insurance magazine. Starting in 2004, and continuing every year since, Brown & Brown has been designated as a Mergent’s Dividend Index Achiever. This distinct honor is based on a record of 10 or more consecutive years of dividend increases, which has been achieved by less than 3% of U.S. listed dividend-paying companies. Your message has been successfully sent to Brown and Brown of Illinois, Inc.